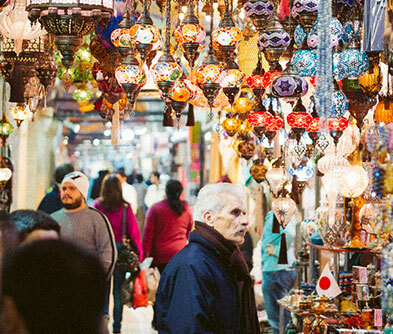 Words like enormous and huge don’t begin to describe the Grand Bazaar. Dating back to the 15th century, today it has 21 gates, 56 streets, over 4,000 shops, hamams, innumerable cafés and restaurants. Spread over 76 acres, it employs nearly 30,000 people. Enough to power a small town! Crimson, burgundy and the ubiquitous turquoise assault your senses the minute you enter. Take a minute to get your bearings, it’s not as confusing as it looks! Like most souks, alleys are grouped by products. 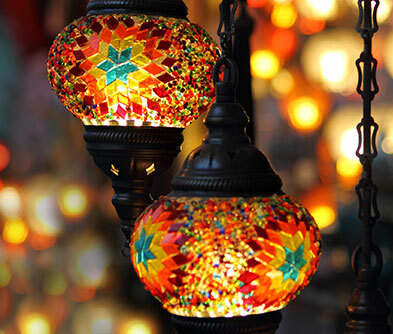 You can find your way to jewellery, silk scarves, fake designer bags, tea sets, kilims, carpets, antiques and even kitchen ware. Bargain away to your heart’s content. 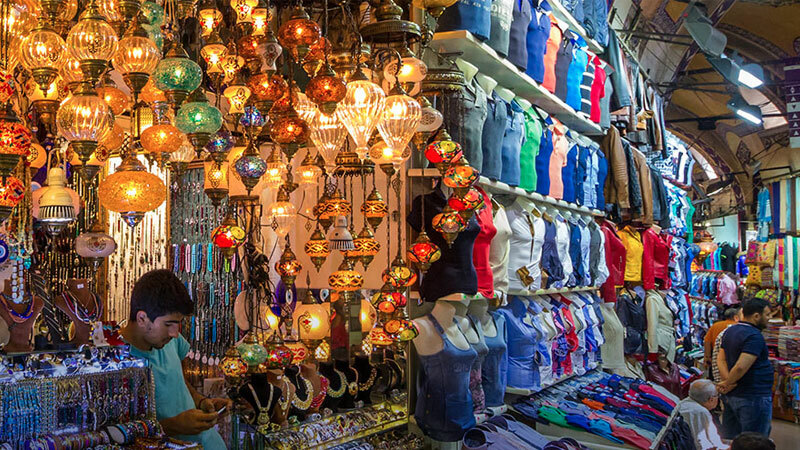 For a glimpse into the soul of the Grand Bazaar, take a turn into the quieter lanes and duck into a ‘han’. These courtyards were dedicated to crafts and you will still find craftsmen working with gold & silver. 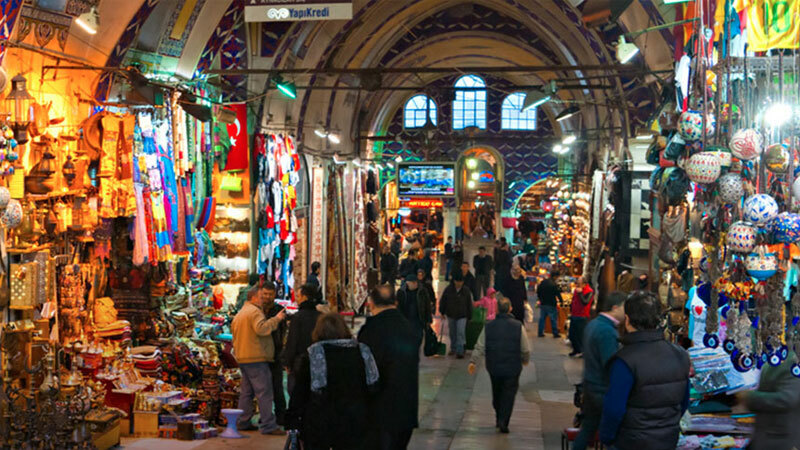 You are also likely to find shops owned by people from different countries, all of whom have succumbed to the indescribable charm of Istanbul. Continue the sensory overload at the Egyptian or Spice Bazaar. From the somewhat dubious ‘Ottoman spice mix’ to authentic Turkish delight, this market sells its wares with practised ease. 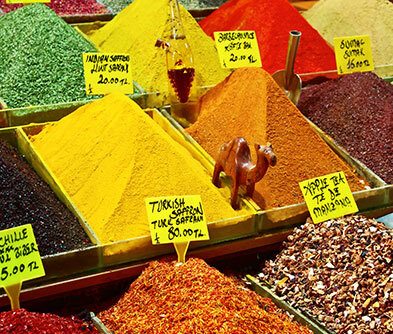 Traditionally a place to pick up imported spices, you can find (with a little persistence), quality Iranian saffron, Indian curry, Chinese flower tea, Russian caviar, medicinal herbs, aromatic incenses, oils and more. Don’t leave without trying fruit leather (sheets of thickened fruit paste) and lesser known variations of Turkish delight.